STATE OF THE SCHOOLS: Special Stories: Kathleen Culler: Commercial, Editorial, and Event Photography in the Metrowest Massachusetts Area. APRIL 6, 2011 School Committee Chairwoman Rebecca Robak, left, answers a question during the State of the Schools. 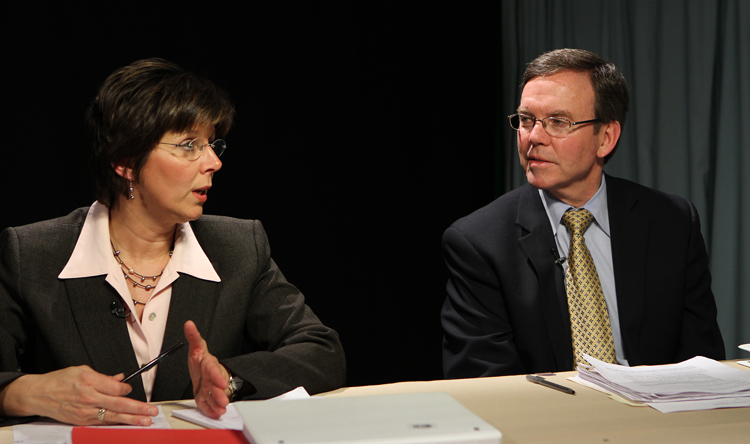 Giving residents the opportunity to submit questions or call in during the production, the program was broadcast live from the studios of HCAM TV in Hopkinton, MA. At right is Superintendent John E. Phelan, Jr.